Our approach focused on the history and culture of Al-Khayat as a brand; bringing Syrian design to California living. Strategy, branding, and identity design. AlKhayat is a boutique featuring highly crafted and unique home products from Syria. Located in the heart of Laguna Beach, CA. Their home products and high-end furniture are made with mother-of-pearl from the Euphrates River. They specialize in custom designs that combine raw materials such as walnut wood, mother-of-pearl, and silver with a contemporary design look. 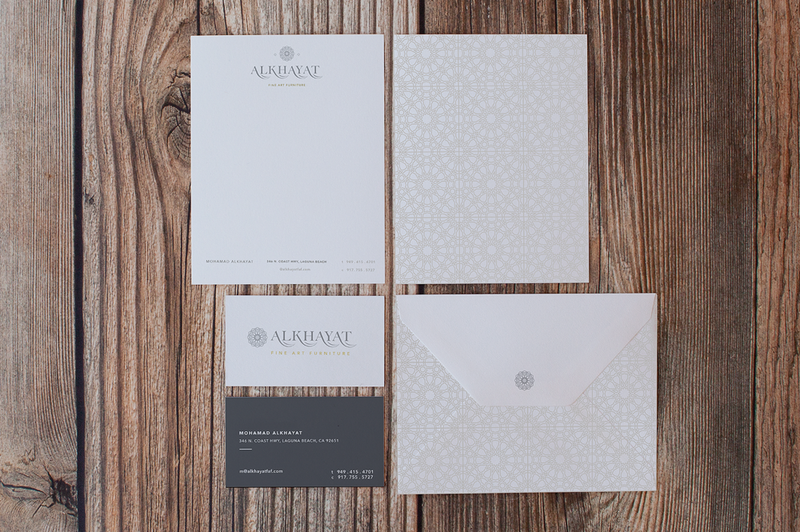 With a growing demand for specialty high-end luxury items within the interior design market, it was clear that AlKhayat needed a new brand identity system. 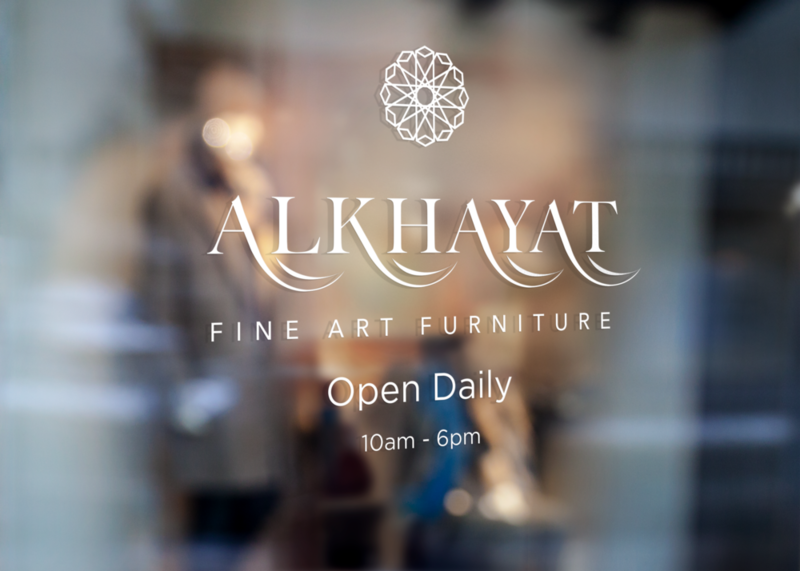 This brand identity system would need to expose Alkhayat’s unique approach to furniture design to the market and position it for growth. Their ideal customers are celebrities and well-travelled individuals with a fine taste for unique furniture design. 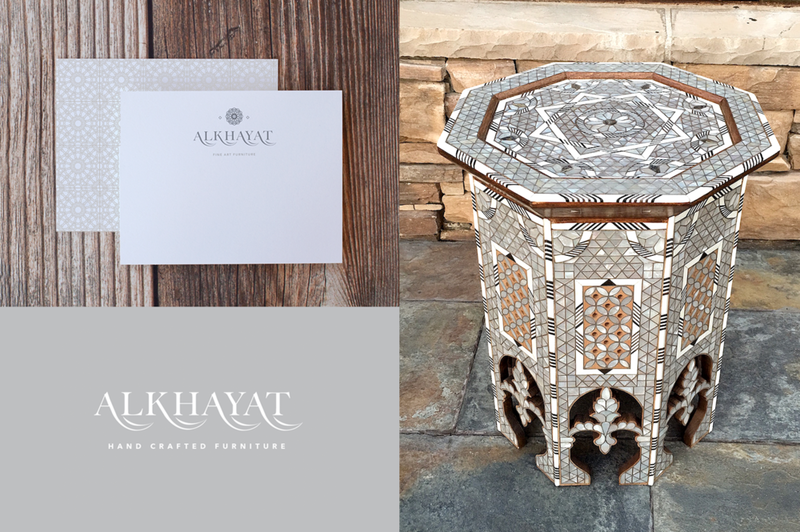 A brand strategy and identity system that showcased and supported Alkhayat as the premiere line for luxury handcrafted Syrian-made home furniture in the heart of California.